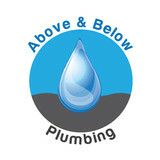 Four Seasons Plumbing has the expertise and resources to handle any plumbing need in your home. When you need a highly skilled Asheville plumber, call Four Seasons Plumbing. Our unparalleled service, competitive prices, and overall value are why our loyal customers won't go anywhere else. We always provide you with upfront pricing so you know the exact cost before work starts. Plus, we guarantee all work and your satisfaction 100%. 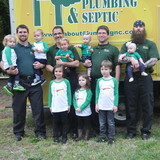 We are a family owned local plumbing business serving Western North Carolina. We provide quality service at an affordable price. Our quality workmanship and attention to detail make us the best choice for your next plumbing project. PlumbSmart Technologies has been providing quality plumbing service to our residential, commercial and industrial customers for over 25 years. We are committed to ongoing education and always use the most up to date technology for the job at hand, including the latest in green plumbing technology. Our goal is to provide you with outstanding service along with everything you need to make informed decisions about your purchases. Mountain Water Systems helps you realize the benefits of pure water by servicing your existing water softening and filtration system; or installing a new system customized to your needs. Sterling Craft Plumbing was founded with the idea that premium work and exceptional service doesn't have to come at premium prices. We work hard to keep costs down so you can have the repairs you need AND the upgrades you want. We are a company that believes people shouldn't have to pay extra for big fancy trucks, or round the clock hours. We don't have a bloated office staff and all their salaries to support. When all you want is a good plumber to help solve your plumbing issues, you want Sterling Craft. We consider ourselves throwbacks to a time when quality work and true craftsmanship meant something. We let our service and the excellent work we do speak on its own behalf. Our trucks aren't new, we work out of a small shared office, and we don't spend big dollars on advertising. That saves you money without sacrificing the quality of the work we perform. 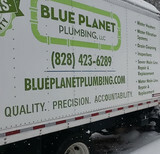 What we do have are rock solid, knowledgeable, and trustworthy plumbers who get the job done right the very first time. Rooter-Man is a local plumbing, sewer, and drain cleaning company with over 40 years of experience. With 50 years of experience in construction field and 30 years as a master plumber, we bring a broad range of experience to your plumbing service. You can trust that your project will be evaluated holistically, in order to ensure the highest quality and efficiency of your home. "We do as little as possible and as much as is necessary." A.C. Williams is a plumbing and company owned by our family in Asheville, North Carolina. We opened in 1934 and have been delivering quality service to our customers in Asheville and the surrounding areas ever since. When you call one of our licensed heating and cooling professionals to your home or business, expect to be treated with professionalism and honesty. We are confident that the quality of our work will represent us well. This is because we put over 75 years of training and experience to work for your ongoing comfort and satisfaction. The work of today’s plumbing professionals spans a wide range of repairs and installations. Without realizing it, you are impacted by the work of specialists every day at home, at work, at school and at play. Your sanitary plumbing system, your easy access to water and your ability to do laundry at home were all made possible by professionals like ours. As a licensed contractor, we can help you in a number of ways. You might consider our services when you want a new air conditioning system or want to update your heating unit. Each plumber on our team is qualified to serve both residential and commercial customers. Our technicians are trained to handle plumbing and heating repairs, the installation of appliances, and the servicing of water heaters and boilers. A plumbing contractor handles the installation and repair of water, sewage and natural gas pipes throughout a home, as well as interior and exterior faucets and fixtures. Plumbing contractors are also trained to work with water mains, septic tanks, laundry appliances, water heaters, sump pumps and other plumbing and pipe systems. Because plumbing repair work is done largely behind walls and beneath floors, some plumbing companies can also patch or replace tile, stonework and other surfaces. Although some Weaverville plumbers are generalists, others specialize in specific areas; a 24 hour emergency plumber will handle urgent residential repairs, while others may be more skilled in remodeling, natural gas lines, overhead sprinkler systems and more. Find a local Weaverville plumber on Houzz. Narrow your search in the Professionals section of the website to plumbing contractors in Weaverville, NC. You may also look through photos of Weaverville, NC projects to find a licensed plumber who has worked on a project similar to yours. Here are some related professionals and vendors to complement the work of plumbers: General Contractors, Septic Tanks & Systems, Kitchen & Bath Designers, Kitchen & Bath Remodelers.